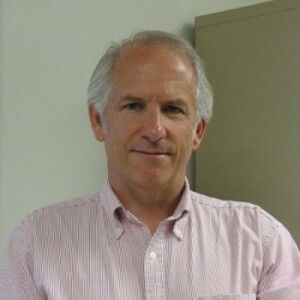 John Raynes is an electrical and electronic engineer with over 30 years professional experience. During the first half of my professional career I worked for various industrial and medical instrumentation products companies. Since 1995 I have run an independent engineering consulting business, Raynes Engineering, that specializes in the design, assembly, programming and integration of computer-based measurement, control, and automation circuits and systems. Typical past projects include small to medium-scale manufacturing controls and supervisory software, material handling controls, automated electroplating and food processing systems and medical transducer test and compensation systems. Projects have ranged from single station automation and test, to database-driven supervisory systems controlling a manufacturing line or an area of a facility. Larger systems typically consist of combinations of PCs, PLCs and other embedded controllers or data acquisition devices, networked through serial and Ethernet links, employing a variety of standard and custom protocols. I can recommend specific platforms and protocols for your application, or work with your preferences, based upon particular requirements and circumstances. I design and program micropower embedded controllers and circuits, mostly associated with precision transducer interfacing, dedicated control, and Bluetooth Low Energy wireless applications. I have extensive experience in legacy analog compensation networks, and also in applying and integrating the digital sensor signal conditioning solutions available today. 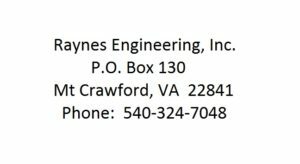 Raynes Engineering is an approved System Integrator for the Automation Direct family of Programmable Logic Controllers and related automation systems products. I can provide complete hardware and/or software design and integration services, or complement your own staff by providing technical expertise in a particular area of concern or interest to you. Please refer to the Controls Engineering section of our web site for more detailed information on the types of electrical and electronic controls and automation work that I do. I am currently located in the Shenandoah Valley of Virginia.